At the core of the Design Miami/ forum is a marketplace for collectible design, amid which the most reputable international design galleries present curated exhibitions of museum-quality furniture, lighting and objets d’art, attracting the highest level of private and public collectors of historical and contemporary design. The galleries invited to exhibit in Design Miami/ deal mainly in exceptional design objects from the advent of Modernism (circa 1900) to the present day, with select galleries specializing in outstanding 18th and 19th century antiques. 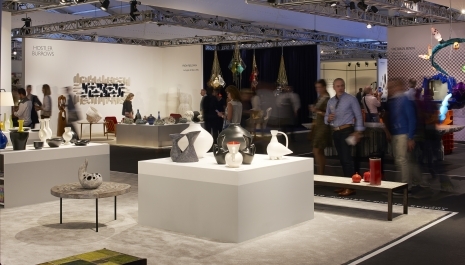 The application window for Design Miami/ 2016 is now closed. If you would like to apply for Design Miami/ Basel 2017 please visit the the application page for further information about exhibition parameters, booth sizes and terms & conditions.